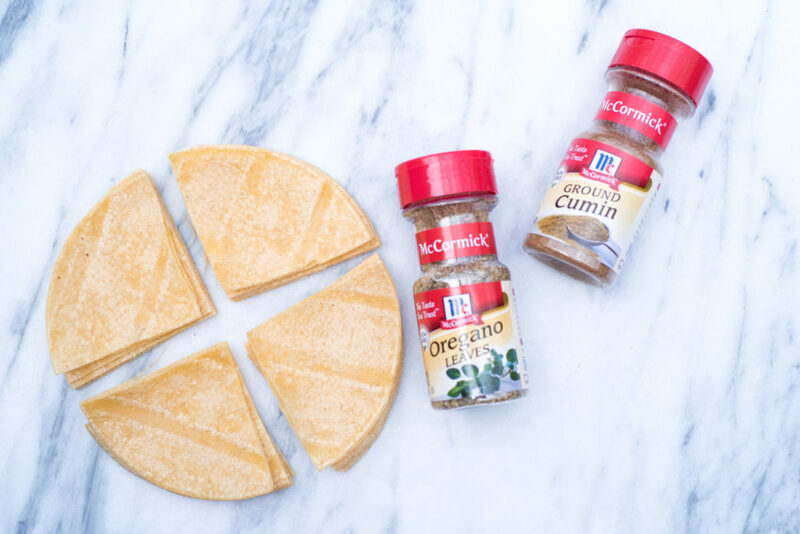 This post was created in partnership with McCormick Spice. Please visit their website for more ideas on how to use amazing spices! I have been making these for my kids – and for parties and get-togethers – for years. I know they do not fall particularly in the “low carb/whole food” category that you know that I love, but they are an excellent swap for traditional chips. Traditional chips are soaked in processed oil, and even beyond that, they trip us up and cause us to get entirely off track of healthy eating. Maybe that’s not you, but it has been most of my patients and the clients I have worked with! These are the easiest swap. Whatever get-together I take them to, they get gobbled up and people ask how I made them. I’m a little embarrassed, because they are so easy, but that’s often where we need ideas the most. It feels good to bring something that doesn’t add to the bags of chips, but gives FULL FLAVOR. 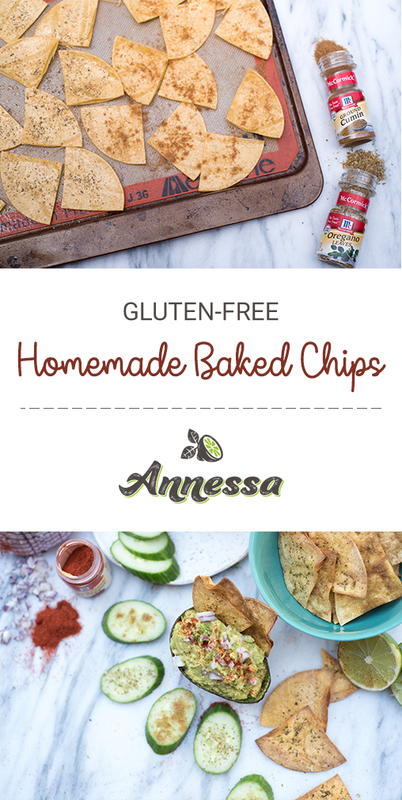 All it takes is several corn tortillas (this is to keep them gluten-free; if you wanted high-fiber or high-protein baked chips, use a wrap that’s high in both! I use to do that for my weight loss patients all the time. They were alway commenting that they missed their “crunch”, so that was my easy solution for them). 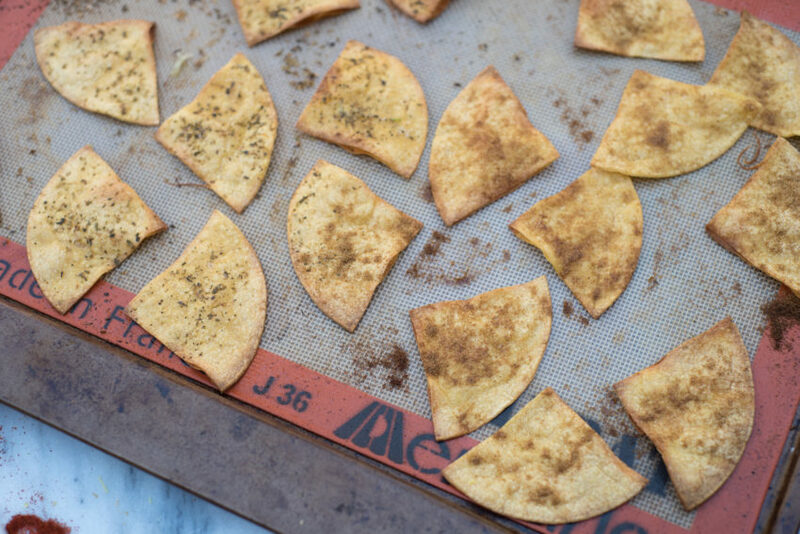 Have you ever made “chips” like this for your family or a get-together (pot luck, pitch in, whatever you grew up calling it! LOL) I would love to know your thoughts! I invite you to connect with me on Facebook and Instagram. Also, I love to keep healthy recipes filed on Pinterest! 1. Preheat the oven to 375 – 400 degrees F.
2. 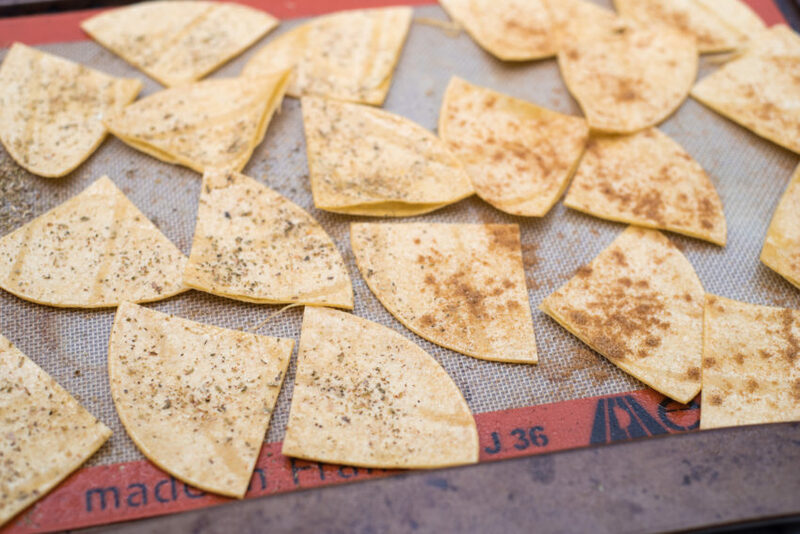 Cut the tortillas using kitchen shears – into quarters. Place in a single layer on a baking sheet, tossing both sides with melted coconut oil or spraying with nonstick cooking spray. Sprinkle with either cumin or oregano, and a sprinkle of sea salt. 3. Bake for 5-10 minutes, just until they get toasted around the edges. 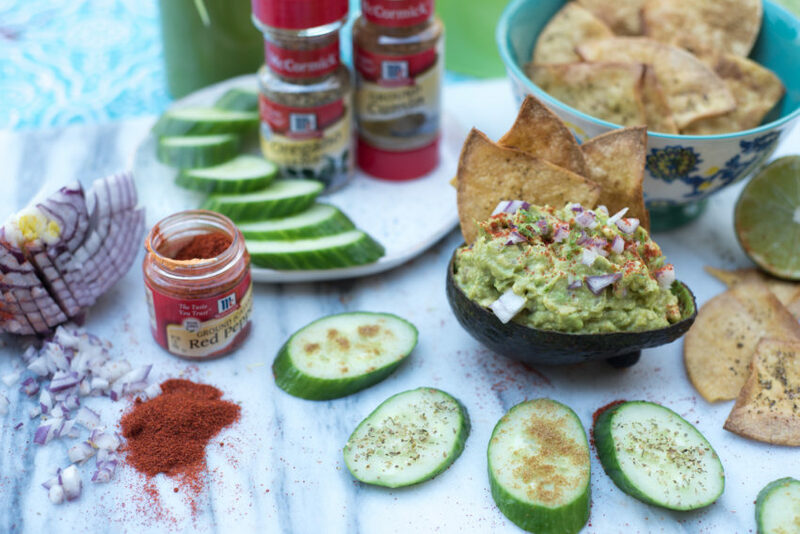 Remove, and serve with any healthy dip!